This post originally appeared in early 2016. Cassandra award? A divided national party . . . voices of extreme rhetoric . . . an ugly, contentious primary season. Does this spell doom for two-party system? Sounds modern, doesn’t it? But the year was 1860, and the party in question was founded by Thomas Jefferson, and shaped in the image of Andrew Jackson: The antebellum Democratic Party. On the eve of Civil War, the future of the Union appeared in fatal doubt. Political leaders in the Deep South: South Carolina, Georgia, Alabama, Mississippi, and Florida had all but washed their hands of the centrally powerful United States. Adding to the precarious atmosphere, a faction of Democrats in the North promoted a policy to permit slavery into the western territories under the principle of Popular Sovereignty, or direct vote. Others voices in the northern branch of the Democratic Party believed the Southern States should depart the Union in peace. And these pro-secession advocates became the most worrisome threat for Senate leader, Stephen A. Douglas of Illinois, the leading Democratic candidate for the presidency in 1860. Douglas found himself in a hell of a spot. He fervently burned to lead his party to the White House and save his nation, dangerously poised on the verge of civil war. As the principal heir to Senate leadership, Douglas had spent over twenty years in Congress working to stave off Southern secession, taking over when Kentucky Senator, Henry Clay, the “Great Compromiser” died. Clay had also spent most of his earlier career drawing up one concession after another in a noble attempt to preserve the Union. Eventually the effort wore him out, and Senator Douglas pick up the cause. As far as Douglas was concerned, slavery wasn’t a moral issue, merely a bump in the road. The issue could easily be decided by the good folks migrating west. Douglas believed if settlers didn’t want slavery, they would decline to establish laws necessary for supporting the “peculiar institution.” But the Senator was wrong—dead wrong. Slavery had, by 1860 become an issue impossible to fix. And it was this miscalculation, underestimating the power of the slave issue, that the Illinois Senator imploded both his party, and his career. The new Republican Party had organized six years earlier in Wisconsin, founded on one central principle—slavery would not extend into the western territories, period. And this new party spread quickly. Composed of splinter groups, this now fully unified alliance insisted that free labor was an integral component to a flourishing free market economy. The presence of slavery in sprouting regions of the West would devalue free labor, and undermine future commercial growth. Now, don’t get me wrong, these Republicans did not sing Kumbaya or braid their hair. These men did not believe in equality between the races—they were not abolitionists. Economic principles drove their political platform, (Emancipation came later with the transformation of President Lincoln through the caldron of war). For Stephen Douglas the approaching 1860 election meant vindication for his support of popular sovereignty, and reward for his faithful political service. And Douglas was no political hack. He fully understood the solvency of the Union lay in the delicate art of sectional balance, and his ascendancy to the White House as a Democrat would go a long way to placate the Southern hotheads. But this Illinois Senator failed, once again, to fully comprehend the temper of the nation, or of his own party. The era of seeking middle ground had passed—America’s course had been set toward industrial modernity with no place for an antiquated, barbaric labor system. Charleston, South Carolina, was selected as the site of the 1860 Democratic convention. Chaos immediately broke loose on the convention floor. While Southern Democrats demanded strict, precise language guaranteeing the extension of slavery into the territories, Northern Democrats and those from California and Oregon pushed for Douglas’ popular sovereignty. This tense deadlock forced the latter faction to walk out and reconvene in Baltimore where party business could function. Southern Democrats moved on without Douglas or his faction. In a separate, Richmond, Virginia convention, Southern Democrats proceeded to nominate Kentuckian John C. Breckinridge. Back in Baltimore, Senator Douglas indeed gained the Democratic nomination, preserving his precious principle of local voters determining the western migration of slavery. Meanwhile, the Democrats in Richmond took a step further, adding the absolute protection of slavery to their platform. Middle ground had vanished. Though a long shot, a third faction of the Democratic Party broke ranks with both Douglas supporters, and the Richmond faction. Calling themselves the “Constitutional Union Party,” this coalition nominated John Bell of Tennessee. So what can we make of this 1860 fiasco today, in 2016? If I could attempt a bit of divination I would suggest that the political party that can present the most united front will prevail in the general election. If current Republican candidates continue to employ such wide-ranging, and scorching tones to their rhetoric, and stubbornly defend the innocence of their loose talk, the party may run head long into oblivion, as did the Democrats of 1860. If the roaring factions, currently represented by each GOP aspirant goes too far, the fabric of unity will shred, crippling the Republican’s ability to field serious candidates in the future. Looking at the past as prelude much is at stake for the unity of the GOP. In 1860 party divisions nearly destroyed the Democrats, propelling the nation into a bloody civil war. And though Republicans at that time elected our greatest Chief Executive, Abraham Lincoln, the Democrats suffered for decades, marginalized as the party of rebellion. And even the best lessons left by the past are still forgotten in the heat of passion, by those who know better. (The Democrats shattered their party unity once again a hundred years later, splintered by the Vietnam War.) This is truly a cautionary tale for today’s turbulent Republican Party. Zealots do not compromise, and leading GOP candidates are spouting some pretty divisive vitriol. Southern Democrats self righteously rejected their national party, certain it no longer represented them, and ultimately silenced the party of Jefferson and Jackson for decades. The lesson is clear for today’s Republicans. By tolerating demagoguery, extremism, and reckless fear-mongering in their field of contenders, the RNC may indeed face a similar demise. Though it is true that no party can be all things to all citizens, malignant splinter groups should not run away with the party. The American public demands measured and thoughtful candidates—and both parties are expected to field candidates of merit and substance. We deserve leaders worth following. As Senator Stephen Douglas refused to recognize that the political skies were falling around him, and his party, the modern Republican Party must not. When my dad said we were getting up at 5am, he wasn’t kidding. His morning schedule demanded we jump out of bed and climb into the truck, the back flanked with high wood racks. Two or three chainsaws were stored in the truck bed, along with cans of gasoline, rusty chains, a yard stick, chalk, and a cooler. This equipment was secured under a green canvas tarp that effused a pine scent from previous visits to the woods. Dad took the wheel in his 1968 white Chevy pickup, my friend, Mary sat in the passenger seat. I was wedged in the middle, straddling the stick shift, trying to sip coffee as we made our way out of town. The morning was chilly and new, the traffic quite light. Getting up that early on a Saturday rendered us among the few who had places to go. Eventually clearing out the cobwebs of sleep from my brain, the morning grew electric. We were motoring to the woods north of Spokane, to some secret locale my father had discovered the previous spring. He had a constant eye for suitable timber, especially if the trees were already down and dry, insuring a superior burn. After an hour or so, Dad turns off on a mountain road, bumping along deep into the timber. The terrain is steep, and he assures us we’re close to his remembered spot. The coffee is long gone, and we need to stop soon and wander into the trees for relief. The truck rumbles to a halt on a lone logging trace. We’re out of the cab stretching our legs breathing in the morning warmth. My dad has already dropped the tailgate and is tending to the gas and oil in his Stihl chainsaw. We help haul out the rest of the equipment, and donning leather gloves follow him to the downed trees, lying right where he scouted them, above the road. I go first, chalking the cut-length with the yard stick, measuring out the entire tree. His chainsaw roars to life and my dad follows me, slicing tree rounds to fit the wood stove. Mary is rolling the sections to the flat, and righting each round for further splitting with an axe. The day has grown quite hot. We toss our flannel shirts into the cab, drink some water from a canteen, and go back to it. By 11:00am the trees are no more. Where they had rested for a season, only skiffs of sawdust remain, the wood secured onto the truck. It’s now that Dad opens the cooler and we dine on bologna sandwiches and warm Shasta cola. Somehow the white bread tastes surprisingly good, though only lunchmeat and butter. We had worked up powerful appetites. My father is relaxed now that the job is complete, and the truck loaded with over a cord of firewood. We roost on the tailgate, chitchat and laugh, sweaty and smelling of pinesap. That he loves the woods is clear by his smile and satisfaction. And there we socialized, two teenaged girls and our genial guide resting our backs against neatly stacked rows of wood. My father is in the hospital. The ravages of Parkinson’s Disease, chronic blood clots and advanced age has faded his once vibrant presence. We don’t know how much time he has left, as he grows weaker by the hour. And perhaps this isn’t the best way to inform friends and acquaintances of his failing condition. Still, we can choose to remember him, as I have, during his halcyon days when he was everybody’s dad. I grew up during the Vietnam era. This conflict in Southeast Asia officially began in 1959, and officially ended with the Paris Peace Accords in 1973. I was a four-year-old baby when Ike first sent advisers over, and a high school graduate when the boys came home under Nixon. An opinion has grown among historians that the unpopularity of the Vietnam War came about because of particularly intense television coverage. Some claim that support for this “police action” shifted when the draft expanded to include middle class, college-bound boys. Mothers across the country grew alienated, and distressed by the relentless coverage flickering across all three networks; images of Vietcong ambushes, exploding fire fights, and mounting body counts, soon drained any support women felt for the war. I recall in particular doing dishes after dinner watching a little black and white Sony portable on the kitchen counter. It didn’t matter which network I switched to, the same footage blended into a mingled blur . . . jungle, fear, wounds, and an odometer-like graphic, tallying up the day’s body count. The Vietnam War didn’t come to us through paintings, or photographs, or movie house newsreels. Instead the American public, including this growing girl from Spokane, viewed the unfolding drama as a grim reality program, years before that term was coined. And that little 10 inch window to the war told me, as young and unsophisticated as I was, that this involvement was awful. That war is an awful event. CBS, in particular, ran special reports highlighting varying aspects of that endless nightmare. News cameras exposed the jarring horror of surgical personnel–doctors and nurses splattered with blood–and set out with nervous reconnaissance patrols edging through deadly elephant grass, and huddled with desperate Marines battling at a stone wall in the ancient Vietnamese capitol of Hue. All of it awful. So many years have flown by, and I find this little girl is now officially middle aged. Yet, as I type my graphic recollections from fifty years ago, I know that, at this very moment, young people in battle zones face the exact same hell as the lethal jungles of Vietnam. The human cost of war has not changed–not one bit. And though the American public isn’t quite as riled as 1970, nor as focused, the price of overseas conflicts remain the same for those beautiful young souls now in harms way. 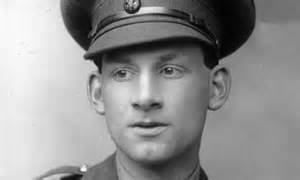 In the spirit of comforting the disturbed, and disturbing the comfortable, I would like to finish this piece by reprinting a poem by WWI soldier and poet, Siegfried Sassoon. With words alone, Sassoon captured the true awful, using no film crew, or photographer, or painter. Drawing no dividend from time’s to-morrows. Have a safe weekend, and accent the memory in Memorial Day. Ladies and gentleman! Today, October 2, 2016 I proudly present the cover art for book two of River of January. Please welcome River of January: Figure Eight, available for purchase one month from today, November 2, 2016. Huge thanks go out to the talented Brooke Rousseau, and her brilliant mother, Yvonne at Point Rider Publishing. To catch up with book one, River of January is available at www.river-of-january.com or at Amazon.com. Also found on Kindle.